As I reflect on these past three years, it’s often hard to see where we are, where we are heading, and where we came from. But today I see so much clarity both in what we have accomplished together and apart. 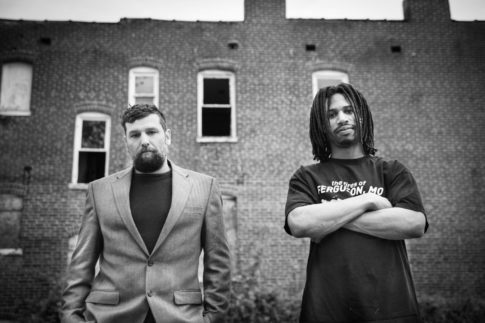 David when I met you in Ferguson, I couldn’t conceive what was about to happen. Who would have ever imagined that we could effectively kick racist police out of your neighborhood using video cameras. 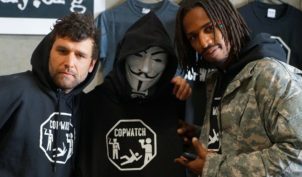 Who would have ever thought that we would help bring copwatch to the people, and the communities that needed it the most. 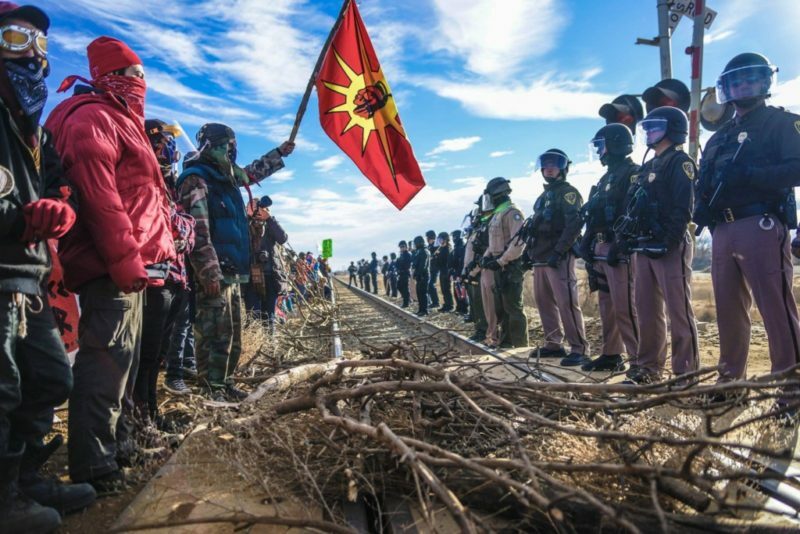 From Ferguson to Oakland, to Baltimore, to NYC, to Standing Rock, I thank you and am forever grateful for taking this journey with me. We’ve sacrificed everything, and we’ve lost so much. But I think about how large our family has grown, how many people have joined this struggle and stood with us. 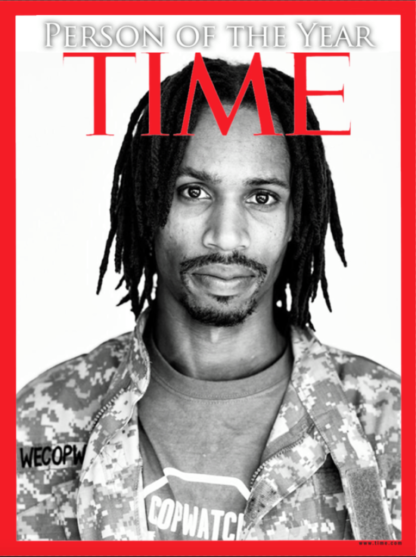 We’ve been targeted, surveilled, even infiltrated by police provocateurs, yet here we are today. Stronger than ever. It didn’t start with us and certainly won’t end with us either. But I love you. You are my Brother and have been one of the most important contributors in this struggle. 1. 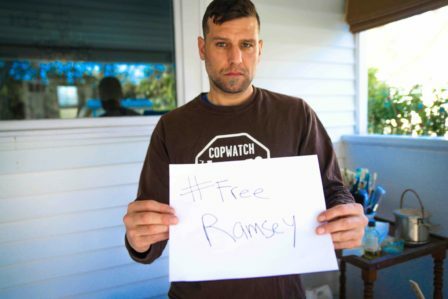 Ramsey needs legal support. He has been cut, harassed, and put into solitary confinement. 2. It would be great if more people were writing him. Let him know he is not alone. You can write him and send it to this address. 3. We send pictures to Ramsey. Feel free to take a picture with a sign, and email it to us a WeCopwatch@protonmail.com and we’ll be sure to put it in the mail. 5. 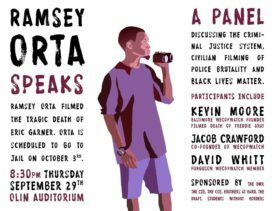 Ramsey’s official pages are now RamseyOrta.org or com. RamseyOrta.info has not been updated for many months, and it had inaccurate information on it. 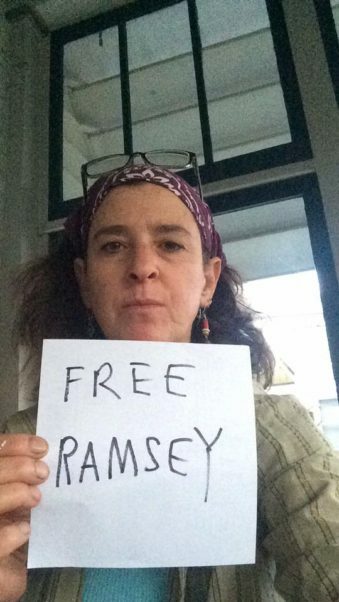 In the past few months Ramsey has been cut, abused by guards, moved to the Canadian Border, and put in isolation. 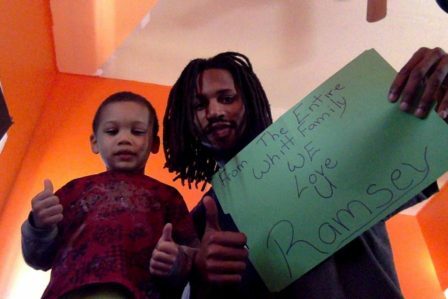 As of today, we’re having a difficult time finding a lawyer to do welfare check on Ramsey. We don’t know how he is, we don’t know what is happening to him. We need someone to call Ramsey. Are you a real deal lawyer willing to make a phone call? Inmates are limited to four visitors per session. Visiting occurs on Saturdays, Sundays, and state recognized Holidays from 7:30am-2:50pm. 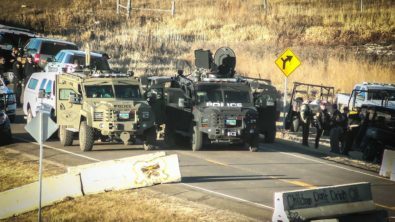 As Police attacks on Water Protectors intensifies at Standing Rock, a Native led Copwatch group is formed. We need cameras, and fast! FBI surveillance planes, drones and low flying helicopters are ever present over camp and armored vehicles and snipers are positioned on hilltops nearby at the ready. 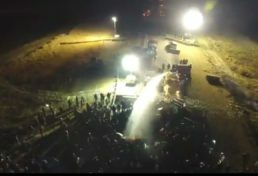 Undercover provocateurs and DAPL employees frequently infiltrate the camp perpetrating violence against people. 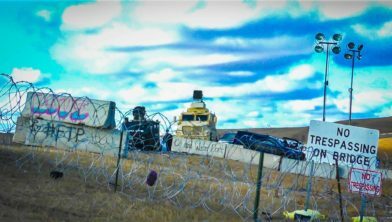 WeCopwatch has been at Standing Rock for the past week supporting the formation of a Copwatch at Standing Rock. 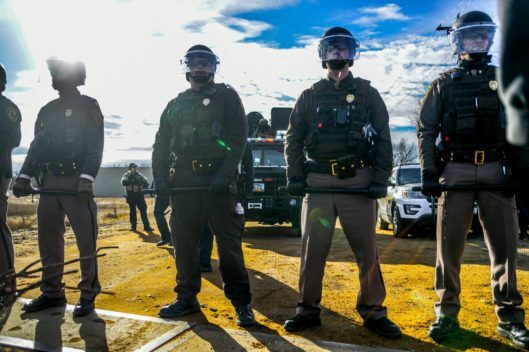 This is a Native run group who have been holding it down on the front lines.These cameras will be used for actions, police assaults, and security at the camps.WeCopwatch will be helping train trainers and different groups about their rights when interacting with law enforcement and while cop watching. The situation on the ground is volatile. People involved in this project have already been targeted. Right now we need to purchase at least 20 cameras. 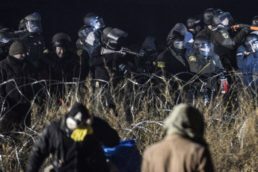 Ten for our group, and the rest for varies camps and tribes who are also on the front lines documenting the police. Donate what you can. Money will purchase cameras, but we need plenty of resources as well such as computers, video cards, hardrives, and literature. 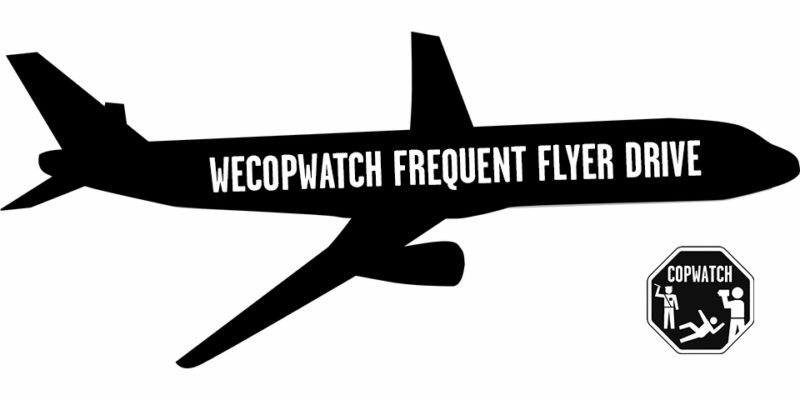 In 2015 WeCopwatch deployed on atleast 20 out of state missions ranging from Oakland, St. Louis/Ferguson, Baltimore, North Charleston, NYC, Chicago and Detroit. 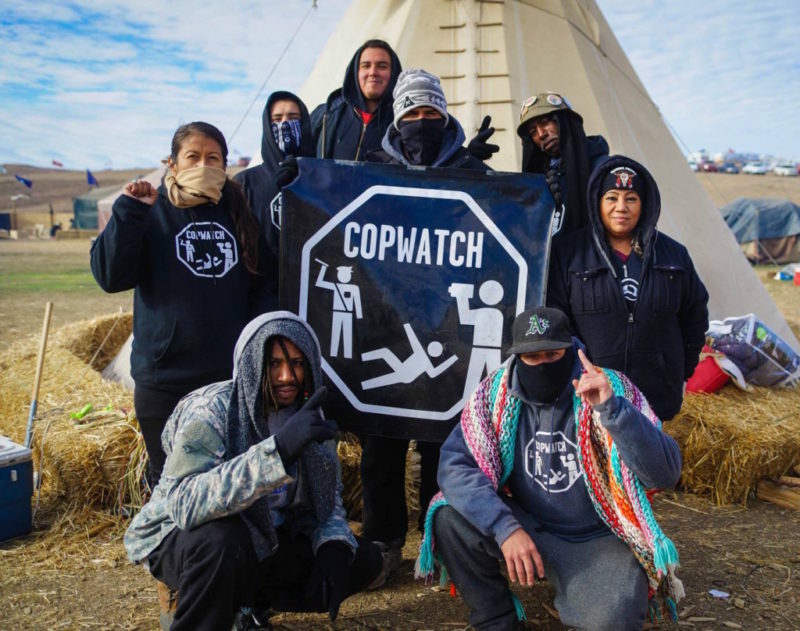 It should be known that WeCopwatch receives no formal funding, but rather has been able to travel due to a few donations, and money contributed from it’s internal membership. It’s 2016. We’ve already deployed to NYC, Baltimore, and Austin. In Austin we deployed to engage in a week long Copwatch operation that included nightly shifts, and several Copwatch College sessions. 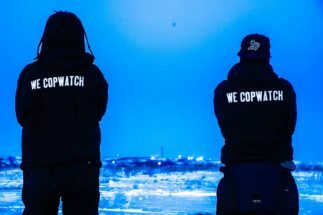 In Baltimore we deployed to support some Copwatchers we work with who had been arrested while copwatching. These journeys often come at great cost to our pockets and our bodies. If we fly, we risk spending heavy out of pocket. If we drive, we wear out our bodies and lose time. We’ve come to the conclusion that are the best option for missions and rapid deployment are to travel by air. Multiple times over the years people have approached us with frequent flyer miles and so we have decided to reach out to the public and see what’s out there. If you have miles, and you believe in the work that we do locally, and around the country, consider donating some our way. 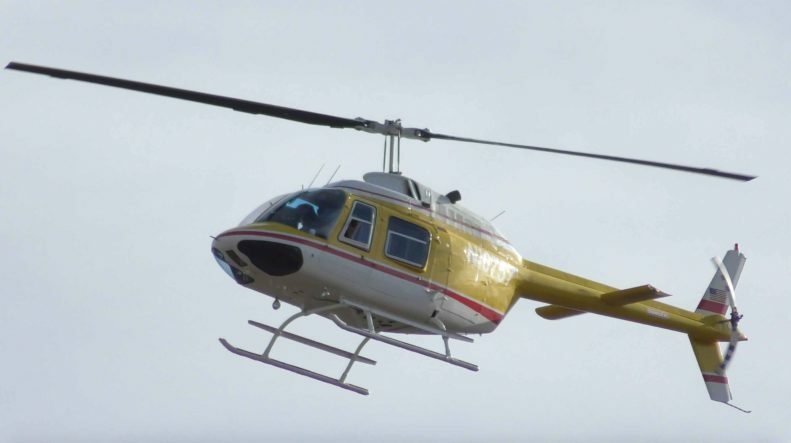 We generally find ourselves needed to get somewhere every month or so and if we had our flights covered, it would really make what little money we do have be better applied to the Copwatch work we do day in and day out. 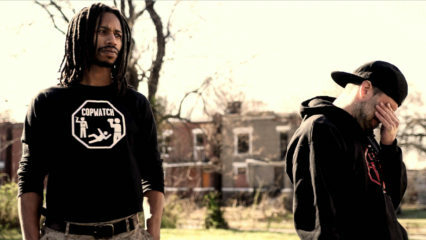 A project of the Canfield Watchmen and WeCopwatch. 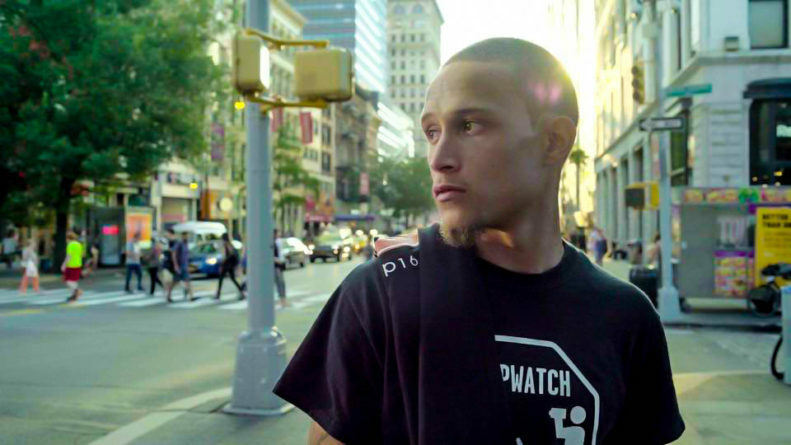 What do we do when the police shoot someone in our community? 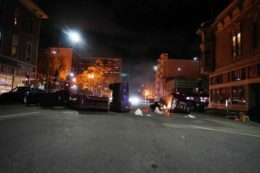 In Oakland California, a coalition under the Anti Police Terror Project have been deploying to the locations of shooting to conduct independent investigations. Here in St. Louis, we have begun to do the same. . .
First Responders are a coalition of people trained and dedicated to responding to police shootings and other high profile incidents involving police with the intentions of collecting evidence, identifying witness, and conducting independent investigations. 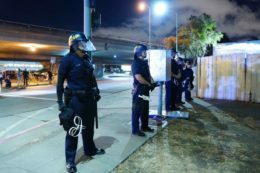 Within 24 hours of a police shooting, “official statements” are almost always released to justify the officer’s use of force. These narratives are often disseminated to convey an officer in fear for their safety and to demonize and criminalize the person shot. These “official statements” often change in the falling months as more accurate information surfaces. But by then it is too little, too late. 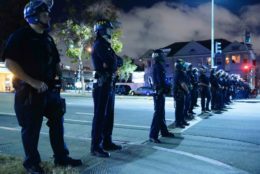 Deploying first responders after a police shooting allows concerned citizens to challenge and scrutinize the police narrative, encouraging police investigators to do more honest and transparent investigations. When deployed to a shooting, First responders wear many hats. 2. They are documenting evidence that can be used for records requests, independent investigations, and to help in criminal and civil cases. 3. 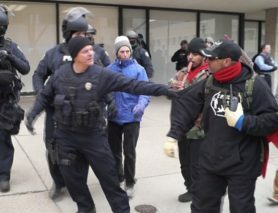 They locate witnesses and help link them to lawyers so they are protected from police retaliation. 4. They pass out information to recruit more first responders and to educate people about the dangers of talking to the police and the media. There are four different groupings of people who can be essential in a First Responder Network, and they often overlap and are not mutually exclusive. 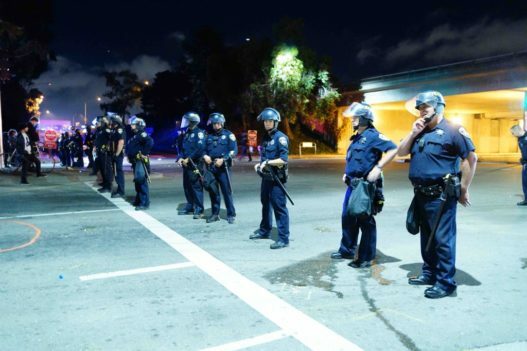 When responding to a police shooting, people are often walking into chaotic, traumatic events. It is crucial to have people from the local community to lead in these deployments. It is also helpful to have activists and journalists to follow their lead and assist in helping where they can with documentation and evidence collecting. It’s also crucial to have a lawyer on the scene who can immediately connect with the family and with witnesses. When conducting an independent investigation it is important to involve the people who were First Responders to the incident. It is also helpful to have lawyers and journalists who specialize in investigations and in requesting/demanding information. 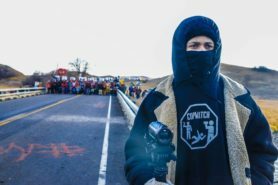 Activists and advocates can also play a helpful role in using the case and information collected to advocate for justice and more lasting change. Spring is near. Are you interested in becoming a first responder in the St. Louis area? Oakland has been pretty busy this year. 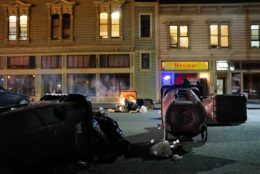 Gentrification has provided the City and the Police with a new found sense of purpose: Protect capital, investments, and of course the massive migration of workers from San Francisco. And the new comers are loving it. After all, they haven’t been neglected by a City that specializes in the kind of anti-blackness that displaces entire families that have been rooted in Oakland for generations. New-comers are enjoying the affordable housing, the great eateries, and the “safe spaces” that have been created for them at the expense of longtime Oakland residents. 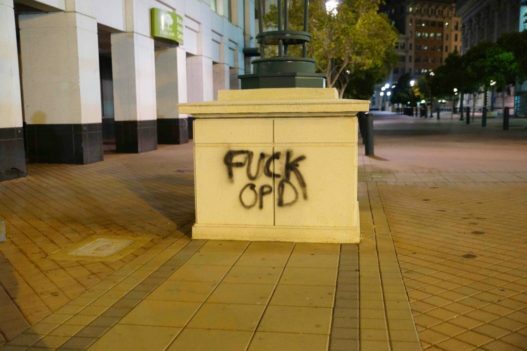 It’s also safe to say that the newer gentrifiers love the Oakland Police, and the Oakland Police love that. 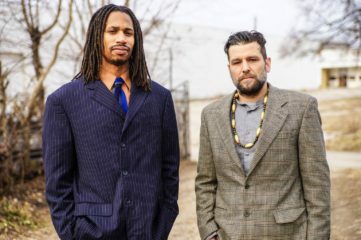 Being a settler never felt so safe, and being a Cop in Oakland never felt so warm and fuzzy. But meanwhile, in the streets, things are looking pretty bad. Far worse than last year to say the least. 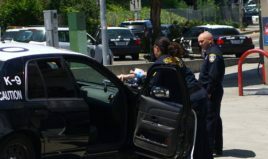 In 2015, Oakland Police have already been involved in three fatal shootings, as well as a mysterious death where a man died while trapped between two houses following a chase. The most recent killing happened on August 12, 2015, at the intersection of 27th Street and Martin Luther King Ave in West Oakland. All we can know at this point has come from witnesses. 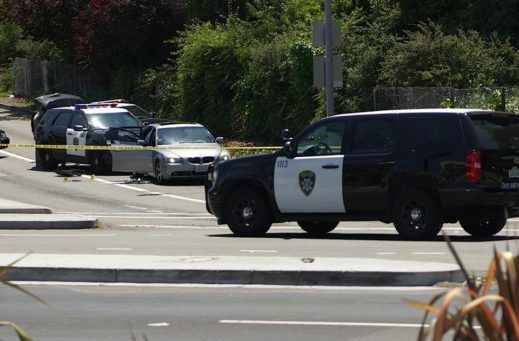 A man was being chased by Oakland Police, crashed his car, and during a foot pursuit was shot and killed by three officers. 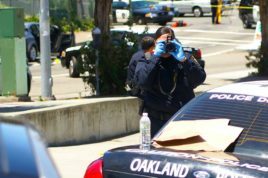 While information is still coming in, and Oakland Police claim he had a weapon, witnesses all say that he never brandished it at officers. 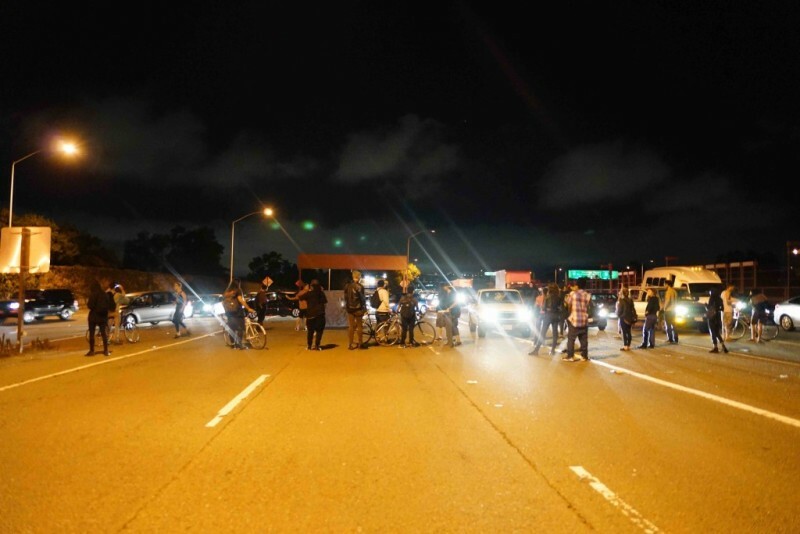 A protest was held that evening at the intersection where the man died. 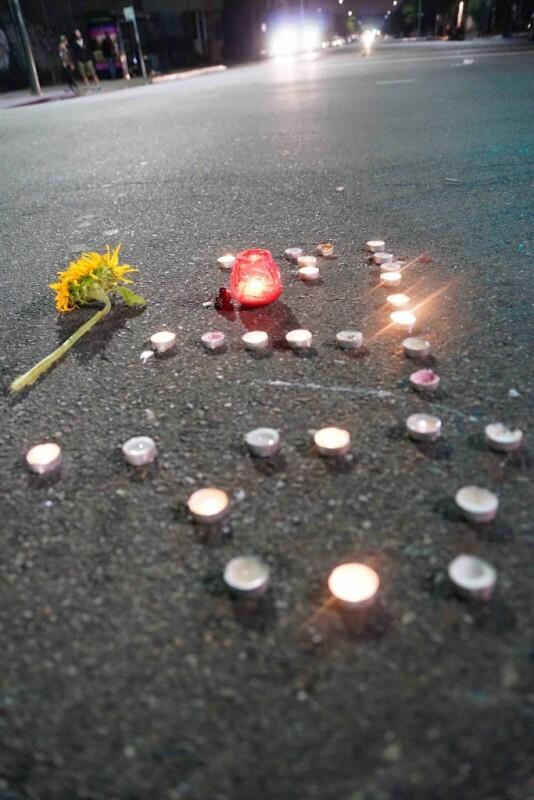 A memorial was placed where he died as well as in the middle of the intersection. The march eventually ended back at the intersection where the man was killed, this time accompanied by dozens of Oakland Police Officers. .
We’ll update the post when more information comes in from sources more credible than the Oakland Police. After a few years on the job most cops realize that the institution they work for is clearly as much of a problem as the people they claim to be protecting the public from. After all, locking people up for victimless crimes, and extorting poor people through citations and judicial processes inevitably creates the conditions that give cops job security. But this is how policing works and they all know it. 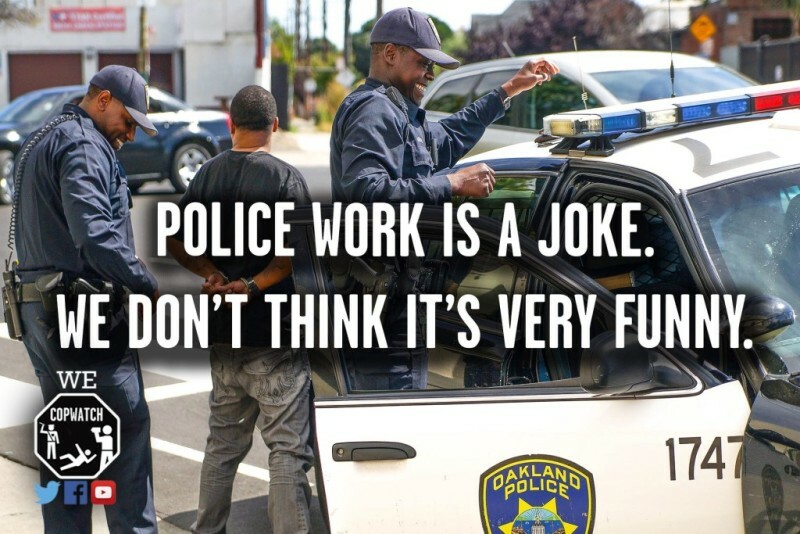 Police get paid, the city gets paid, the courts get paid, the state gets paid, and the corporations that facilitate this slave trade gets paid, all off the back of the people. That’s why Copwatch is so important. Every time caring people stand together and watch the police, they are less likely to abuse people and steal their money. 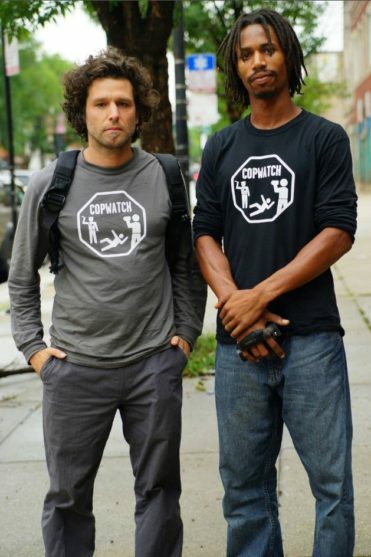 These days even cops are finally admitting that in the moment, Copwatch keeps them in line. To those cops, we say this. Your job shouldn’t be to stop, harass, cite, and lock people up. You are part of the problem. Many people make great cases that you are the problem. 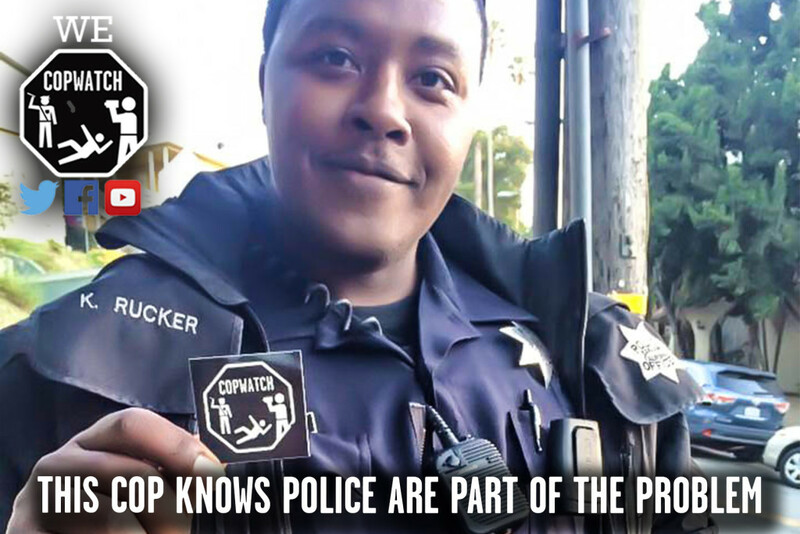 If you are Police and you think Copwatch is so valuable then maybe you should. . .
1. Stop stopping people. Stop citing people. Stop arresting people. 2. 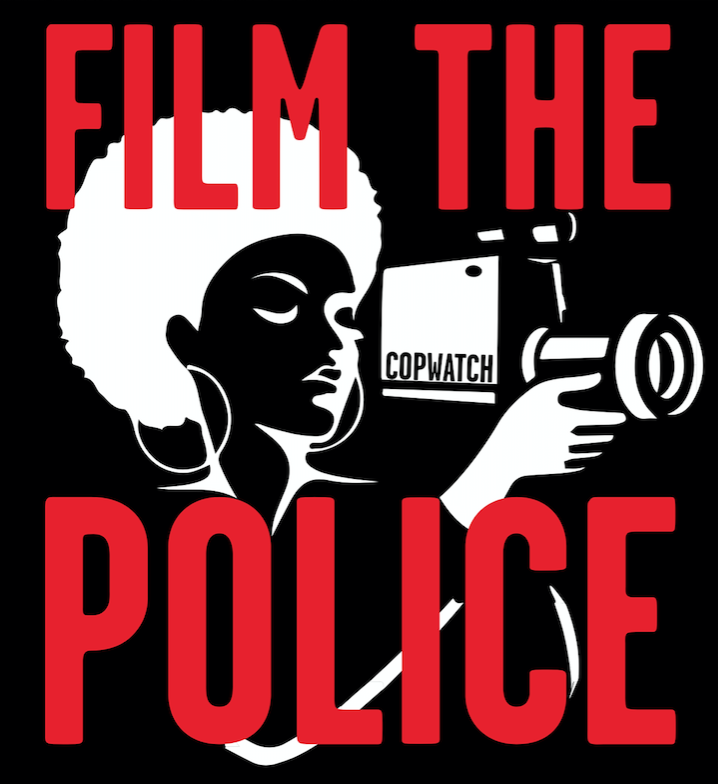 Record and document your fellow officer’s corruption and abuse and send it to your local police accountability group. 3. 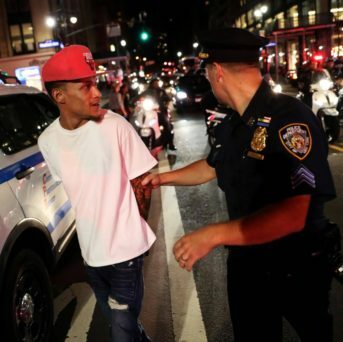 When police abuse people, put your hands on them like you would any member of the public and put them in handcuffs. 4. Stop acting as if you have any special authority over people. After all, if you really wanted to help people, you wouldn’t be a cop.